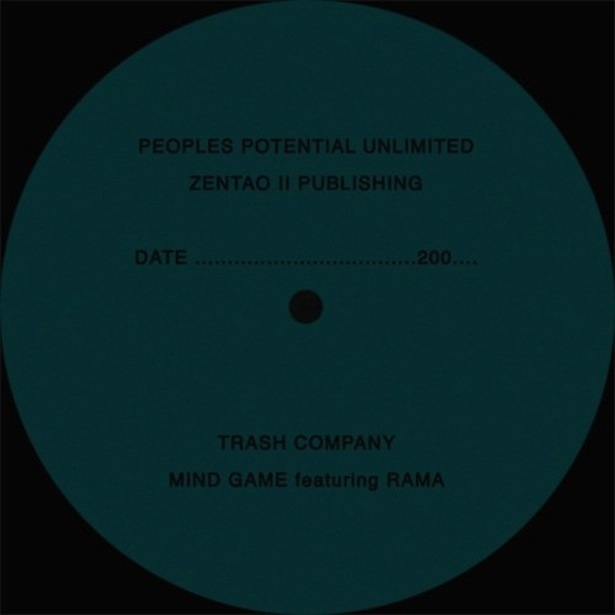 Trash Company / Evans Pyramid / P.P.U. Max Monroe`s Trash Company from The Earle, downtown Richmond Virgina`s equivalent of Burrough`s Parisian Beat Hotel, full of pimps, prostitutes, pushers and junkies, and artists awaiting or mourning the big time, with a cut that was included on the Modern Love EP released last year on Australia`s Thug Records. Now on a loud single-sided 12, where Kinfolk favourite “Hanging Out In Space” tries not to panic as it finds itself trapped in a Bozo Meko / Bambaataa Death Mix of ethereal vocals and the break from Kraftwerk`s “Trans Europe Express”. The Drum Machine meets Hardkiss. Cybotron`s “Clear” running down the alleys of your mind (at 33 it sounds like “Salsa Smurph” colliding with G.T.O.`s “Dub Killer”). Mad Techno-predicting Electro. 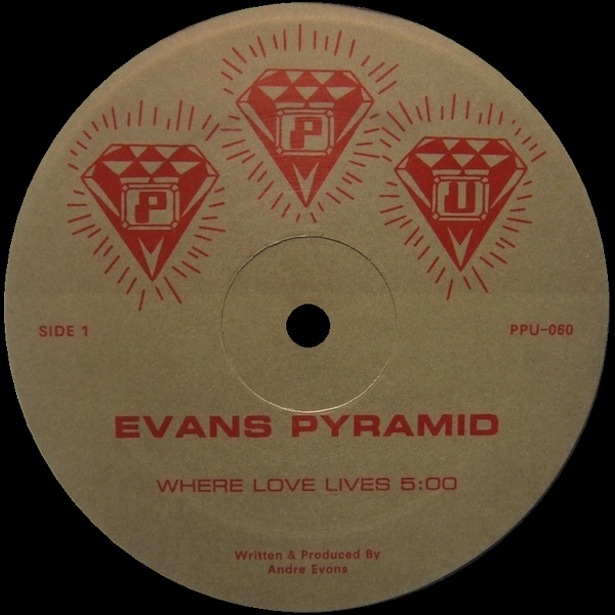 Both of the Evans Pyramid (AKA Blood Deep) tracks on that appear on a new P.P.U. 12 have also been released before, fairly recently. They were included on the Cultures Of Soul compilation that came out a couple of years ago, but I don`t think either have been on a 12, and I think that this is the first time “Where Love Lives” has been on vinyl. Like Alex Ruiz`s “Fire & Ice”, they have a velocity too high to be Boogie, perhaps out of breath, over-exicted Boogie that just can`t wait. A Sound of summer. Purple Funk characterized by rhythm guitar clips and romantic synth lines, with handclaps turned up, and falsettos and female harmonies that share a lyric aligned with “Controversy” and the joy of “Let`s Go Crazy” (I had to get something from 3RDEYEGIRL up here somewhere this week). A call for open minds. A paean to the idea that god is love, that love is god, and that god is within. Do you believe?